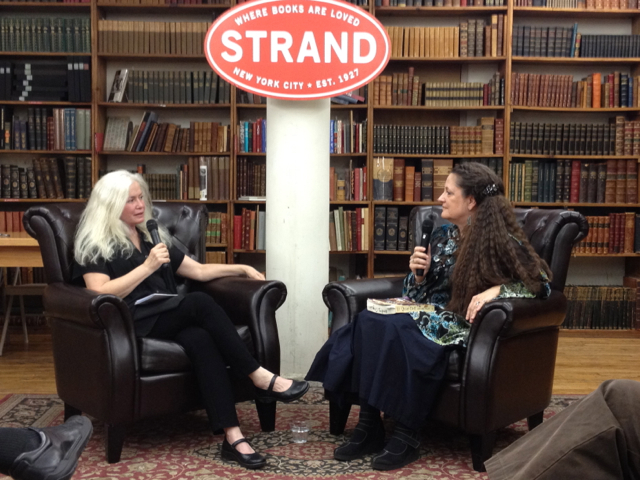 Jayne Anne Phillips read from her new novel, Quiet Dell at The Strand on Tuesday. She was joined in conversation by Amy Hempel. In 1931 West Virginia, Cornelius Powers constructed a sound proof underground room in his home and set about murdering a local family. Philips, who grew up nearby in a small town, first learned of the notorious story as a young girl from her mother. She describes her mother’s telling of the story in way that makes it seem like a dark bedtime story. It was framed as a kind of morality lesson warning women against sexuality, Phillips explained. It was a lesson against having normal sexual desire. Although almost everything in the novel is based on facts, that’s not really the point. The thrust of the novel is not actually to write a book in the true crime genre. She wanted to infuse life and perspective into the characters surrounding the events of the Cornelius Powers murder story. Phillips wanted to get at the lives of the characters rather than the mechanics of the murder. “A life is not defined by its brevity, but by its intensity,” she says. Ultimately, the point of fiction is entering into the characters and experiencing life, not just the collection aggregation of facts, and her preference is for crafting a strong narrative. Hempel asks Phillips about the promotion of mystery in the text rather than the explanation of it. Phillips reiterates that this was the kind of story her mother told her, a local legend or fairy tale. Her goal was not to illuminate the details of the crime but enter into the characters that were participating in the events. She wanted to create their world rather than that of the murder. Phillips had considered idea of the book for two decades. She had read a book on the murders — and photocopied it — years earlier, then forgot about it. Later, she found the xeroxed copies and found herself thinking about the murder again. Early on, she never expected to end up writing through to completion; she only wanted to know the story surrounding the events, of the characters. But she ended up literally carrying around a photograph — Annabel, the youngest child — and something about the gaze of the child in picture pushed her onward. Many of the characters have real names. This meant that inserting real historical archive pieces into the novel brought a richer depth and made the characters seem more real. Still, many of the real names seem odd: “All the real names are like a fairy tale,” Phillips says. Despite the real names and the real facts, the story was about inventing the thoughts and perceptions of the characters, and more importantly, crafting a narrative. “The fascination was I was inside an invented world but there were snippets of the real world…. the meaning was inside the fiction,” Phillips says.